My suit against the TSA’s international security interview program is slowly moving forward, as the TSA has finally (10 months and 2 motions later!) filed the “administrative record” that underlines the bases for their decision to implement the program. More on that coming soon. My draft legislation to ensure that the TSA can be held accountable when it oversteps its bounds is almost done, at which point I’m going to work on getting some partners on board to submit the bill to Congress. It’s hard to believe that I’ve been working to roll back government abuse for 4 years, but today marks the anniversary of the filing of my first lawsuit against the TSA and the start of what now seems to be a lifetime passion for civil rights advocacy. With that in mind, to increase my efficacy as an advocate, I’m excited to announce that I am now officially a law student: Northwestern California University School of Law, Class of 2018. California is one of the very few states to allow law school to be completed online, and NWCU’s 4-year, 100% distance learning law program will allow me to sit for the California bar and thereafter apply to the bars of most, if not all, other states. The tide is turning in favor of law degrees earned via Internet courses, with about a dozen schools offering all-online classes in California, William Mitchell in Minnesota offering a 50% online law degree, and many other schools across the country experimenting with putting at least a portion of their curriculum online. Law school will be a challenge: the time commitment is huge, the drop-out rate is high, and the bar pass rate is low, regardless of whether you attend an on-campus or online school. But if there’s anyone who can make this happen, I’m confident I can, and being able to do coursework while I travel makes this possible. 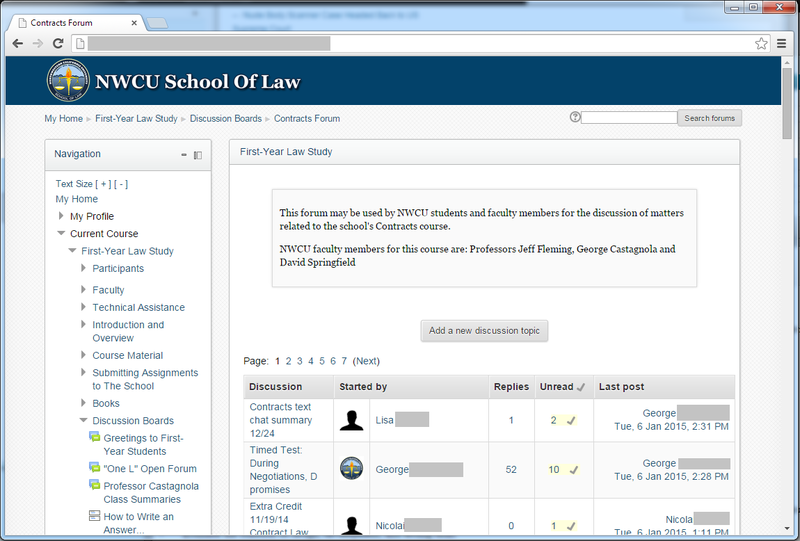 I’ll be blogging about how things go, and today adding a new category, Law School, to the blog. Tomorrow I’ll be announcing more exciting news, as my second petition for the U.S. Supreme Court’s review gets filed, and I share with you the amicus brief filed by a rights organization in favor of my petition for rehearing en banc before the 11th Circuit.